Water quality field measurements should represent, as closely as possible, the ambient physical and chemical properties of the surface-water or groundwater system at the time of sampling. Properties such as temperature, DO concentration, and Eh must be measured directly (in-situ) in the water body. Other properties such as pH, conductivity, and turbidity may be measured either in-situ or from a sample withdrawn from the source, depending on the type of equipment selected for field measurements. These properties are measured at the field site. The easiest, most versatile handheld solution for spot sampling in the field or lab. Simply choose the Pro Series model, cable length, and probes that are right for your specific application – from aquaculture to surface water to wastewater and more. In-Situ's fully customizable multiparameter sondes are ideal for groundwater and surface water monitoring. Choose only the sensors you need, and save money on those you don't. 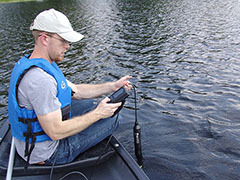 SmarTROLL handhelds are the industry's first water quality monitoring sensors to utilize mobile device technology. 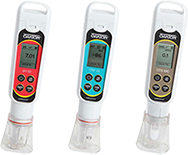 Oakton Waterproof Meters are easy-to-use handheld meters for measuring water quality parameters in the lab, plant or field. 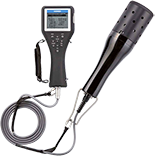 Portable multi-parameter measurement with the portable meters by WTW. 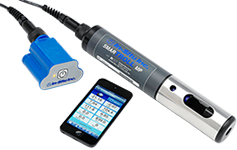 For the simultaneous or serial measurement of pH/mV, ISE, conductivity and oxygen. YSI EcoSense meters are designed for quick, accurate results on economical platforms. HORIBA provides a wide array of highly precise, extremely reliable and easy to operate instruments, which are widely used in variety of water monitoring applications. The Orion Star A series offers a diverse line of newly designed single and multi-parameter instruments for a wide variety of applications. They incorporate features that will enhance your water quality monitoring and analysis programs. The right choice for all who are looking for simple meters for portable water measurements. The Oakton pH pocket testers stand up to everyday use, harsh environments, and the test of time. The testers can even stand upright when the cap is used as the stabilizing base.